How Is London's Specialty Coffee Scene Evolving? 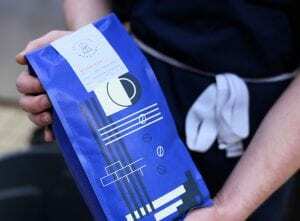 Home Coffee Consumers How Is London’s Specialty Coffee Scene Evolving? London’s specialty coffee scene has grown rapidly in recent years. 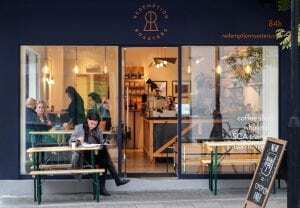 It may not be at the same level as Oslo or Melbourne, but the number of independent coffee shops and roasteries is on the rise. 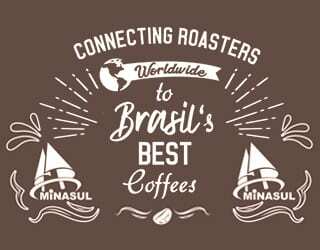 Let’s take a look at how the capital city’s coffee industry is flourishing and see what the local players have to say. London is home to a few well-established specialty roasters, including Square Mile, Caravan, and Origin. 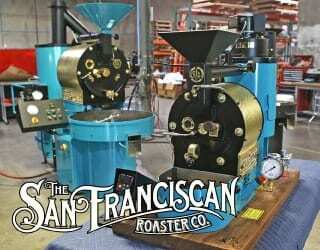 Although these names still dominate, the city has recently seen a diversification of roasteries. 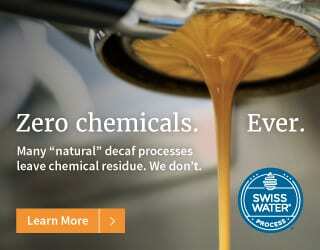 These days, you can increasingly spot smaller roasteries’ bags behind the counters of independent coffee shops. 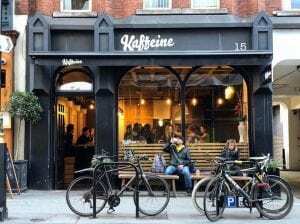 “There has been some fairly rapid growth,” says Peter Dore-Smith, the founder and director of Kaffeine, a coffee shop with two locations in Fitzrovia. 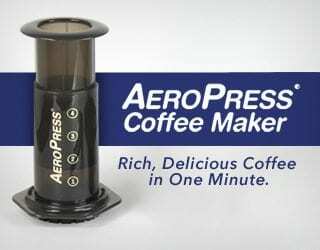 “The recent rise of roasteries and the availability of them to cafés to use for supply or for guests is huge. Right now I have samples from four different roasteries on my desk. “I believe it’s very hard to get a foothold and make a mark and profit. 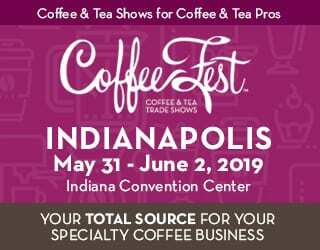 You have to set it all up, train people or yourself, go to origin, sell to cafés, make sure your product is represented properly and provide training. It is a huge undertaking,” he continues. “The diversification of roasting is a brilliant thing,” says Oliver Futcher, Head Roaster at Saint Espresso. 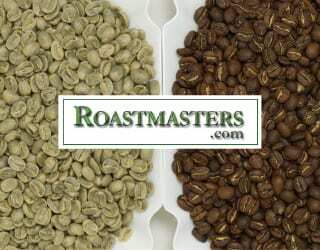 As well as roasting coffee, the company owns four cafés in London. “It breeds competition and gives enthusiasts and customers a much larger pool to choose from,” he says. 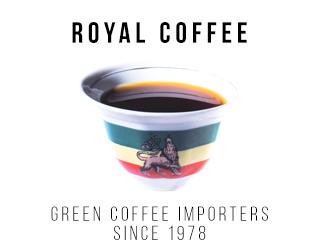 But he cautions that the increased competition can reduce brand loyalty, saying that roasters have to maintain consistent quality to keep customers. Laura Bradbury is Sales and Account Manager at Climpson & Sons, which has been roasting coffee in East London for over 15 years. She tells me that “there is a focus on supporting local brands, coffee shops, and roasteries, so once these businesses expand and create a wholesale offering, they immediately have the support of other local businesses and consumers, making it even more achievable. “Another aspect of diversity is loyalty and relationships, which tend to be a key aspect of smaller and specialty roasters. Rather than just a product, the support and focus on relationship is what makes customers less likely to look to other suppliers, and in that comes solid loyalty,” she says. One of London’s innovative new roasters is Redemption Roasters. The world’s only behind-bars specialty coffee company, the social enterprise teaches young offenders barista and roasting skills inside Aylesbury Prison. After they’re released, they’re offered employment in an expanding chain of London coffee shops. The company says that it is teaching real skills to its apprentices that they can immediately make use of on their release. 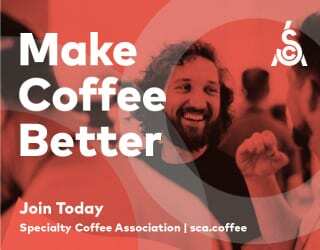 London’s growing coffee scene has a demand for capable employees and the apprentices are trained to professional roasting standards and with competition-level barista skills. Today, it’s not enough for any coffee shop to simply offer great coffee. 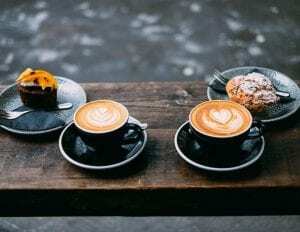 Coffee shops in London have always included food items, but as elsewhere, there is increased focus on high-quality food and excellent customer service. She also highlights how food allows coffee shops to engage with local community. “By sourcing products locally and rooting yourself in your local community, it’s something customers always value,” she says. “It is important to serve quality everything, and for your service to be quality,” Peter tells me. “Food is hugely important. It makes up 45% of our total revenue. 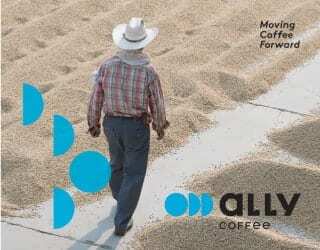 Establishing and maintaining a profitable coffee shop or roastery in London is no easy feat. The city is ranked as having the 26th highest cost of living in the world and has prohibitively expensive rents and property taxes. This means that small businesses, including coffee shops and roasteries, are increasingly moving out of the central zone. “We’re seeing more and more different types of businesses take on a specialty offering, particularly heading more out towards the suburbs of London,” Laura tells me. 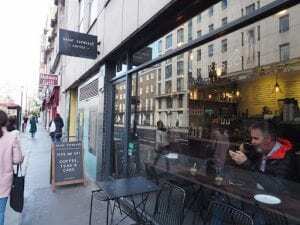 The West End neighbourhood of Fitzrovia has been described as an emerging coffee hub, hosting a concentration of specialty coffee shops. Curators Coffee Gallery opened here five years ago but recently announced its closure due to “a number of factors, not the least the tough UK retail environment.” In its place are newer specialty brands including international offerings from Omotesando Koffee, Jolt, and the highly curated Elan. But you don’t have to go to a coffee shop to experience specialty coffee in London. 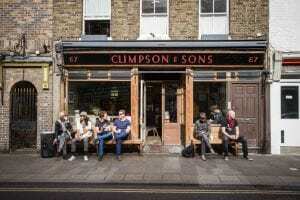 “There’s a focus at the moment on people wanting to bring quality specialty coffee into places you wouldn’t normally find it, like offices,” says Nicole Ferris, Managing Director at Climpson & Sons. 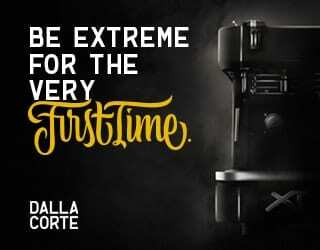 And like elsewhere, the specialty movement here includes home baristas and home roasters who experiment with techniques. 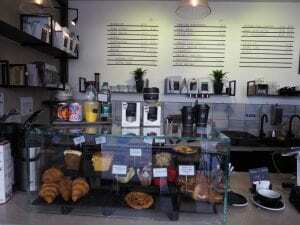 “More people are drinking specialty coffee at home — equipment like the V60 is not prohibitively expensive and allows you to make great coffee easily at home,” Nicole tells me. The annual London Coffee Festival has celebrated the capital’s coffee scene since 2010 and contributed to the industry’s evolution. 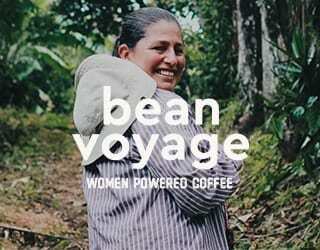 As the specialty coffee movement has grown in London, so has the event. 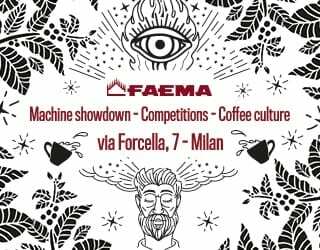 This year’s festival takes place from March 28th to 31st there will be over 250 exhibitors and tens of thousands of coffee lovers attending the event over four days. “It is wonderful,” Peter says. “I was involved in the first ones and the organisers have really had a vision and seen it through. To see the posters everywhere and people carrying the bags all through the year is fantastic. “Anything that is positive for the industry is a good thing. It brings loads of people to London too and it is our job to make them feel welcome and show them how good we are at our jobs,” he continues. 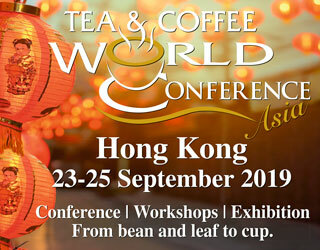 By providing a forum for roasters, coffee shops, and other members of the industry to connect, London Coffee Festival is a key part of the growth of the scene. “It allows for great networking opportunities for the industry as a whole, and for everyone to catch up. The public can see the scope of the specialty industry in London and beyond, as well as exposing new customers to the specialty scene,” Rachael says. 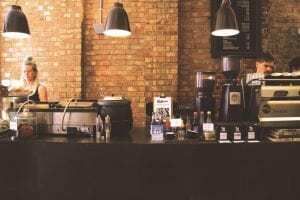 In direct relation to London’s growing coffee scene, baristas and other coffee roles are quickly becoming more professional here. As demonstrated by Redemption Roasters, coffee skills both behind the bar and in the roastery can open viable career paths. A number of networking groups support the London industry and encourage diversity in its workforce. 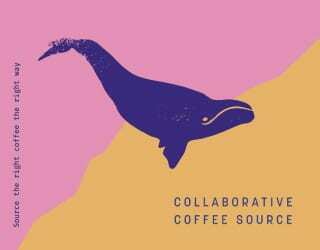 One such initiative is The Kore Directive, which is described as “an organic platform of growth and networking for womxn who want more from their careers in coffee. “Diversity is and always has been important simply for the case of having different people from different backgrounds working together harmoniously with a common goal in mind and enjoying it. This will always be important,” Peter says. Like many things in London, the coffee scene is fast-growing and quickly changing. Sleek international coffee shops may be making inroads here, but they’re doing so alongside social enterprises and independent roasteries. 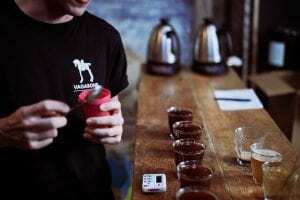 With high levels of innovation and enthusiasm, London’s specialty coffee scene is flourishing.